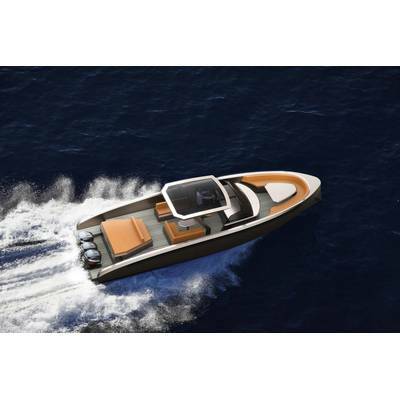 Vanquish Yachts in the Netherlands has developed a new model in its sports boat range especially for the American market. 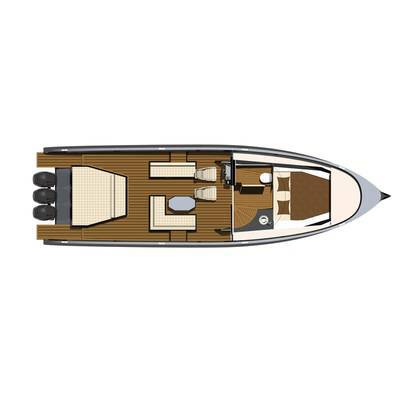 The VQ46 Dual Console 46 foot cruiser offers hand-built quality with classic Vanquish elements of a high performance, maximum maneuverability and a striking design for owners who enjoy everything from sports fishing with friends to extended cruises with the family. The first VQ46 Dual Console is currently being built at the Vanquish facility in Holland, and will be ready in time for the 2016 season. 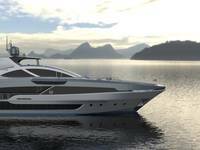 There is still the chance for extensive customization by the future owner in terms of the boat’s exterior color, interior materials and various on board features. The VQ46DC concept stands out from anything remotely equivalent in this size range. Three 400 horsepower Mercury Verrado R outboards give an impressive top speed of 63 mph. 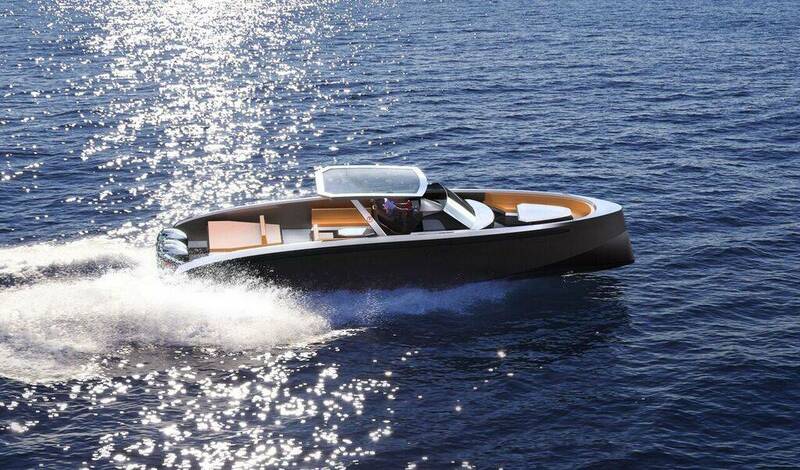 The knife-like bow allows the yacht to cut through the waves with ease, making an appreciable contribution to a very real feeling of comfort on board. A deep walkaround ensures superb freedom of movement for passengers, while the layout provides comfortable seating for 12 to 14 people and three sunbathing spots. The comfort levels have also been optimized even further on the VQ46 Dual Console, making longer trips a breeze, according to the builder. 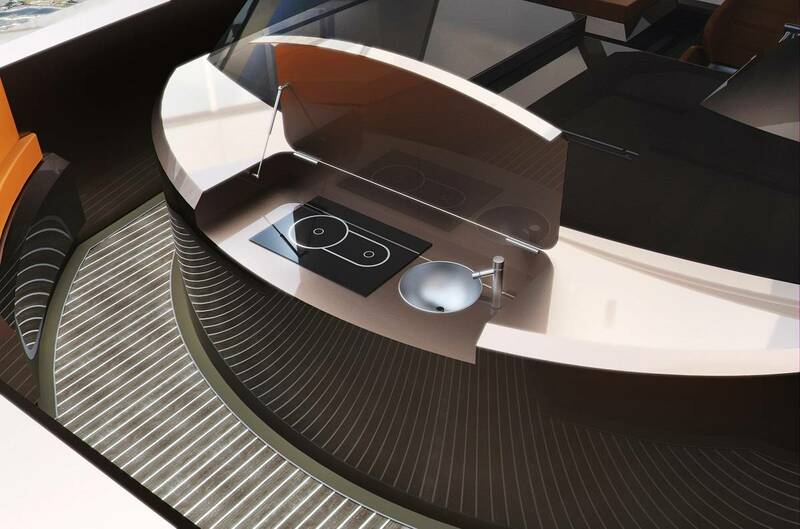 The interior comprises a galley with sink and refrigerator, as well as a spacious bathroom with toilet and shower. The wide lounge area for six to eight people on the foredeck is flanked by a good-sized galley, while the interior also comprises a well-appointed cabin for two to three people plus a head with shower. 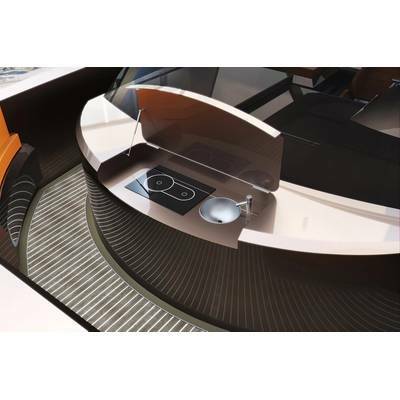 A sound system from Brian’s Custom Audio will be custom fitted and adapted to the specific characteristics of the boat and the owners’ personal wishes. 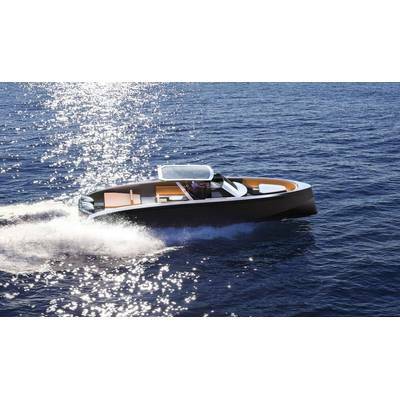 In addition to day trips with larger groups, this sport cruiser can also be used as a tender for superyachts. Being equipped with a high quality rub rail as standard, it can easily approach another vessel with no risk of damage –the joystick controller lends a helping hand in this respect. 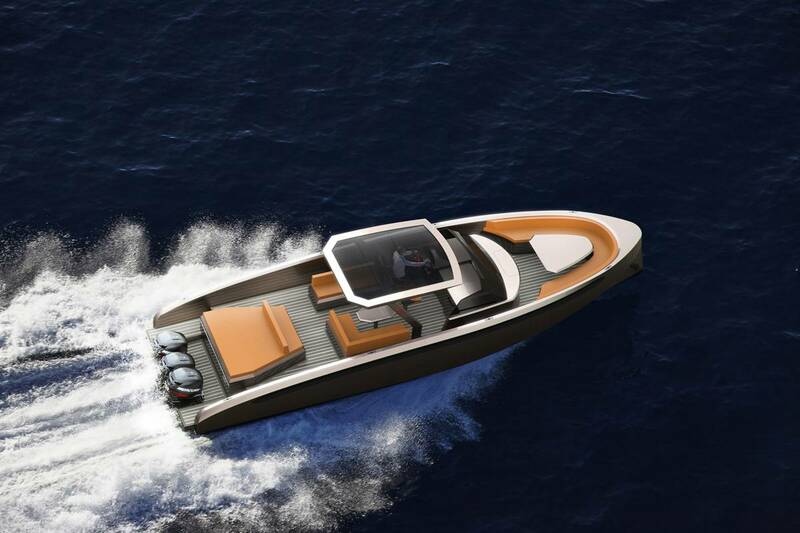 Like all Vanquish boats, future versions of the VQ46 Dual Console model will be fully customizable, allowing the yard to install inboard (diesel or petrol) engines with various drive systems as required. 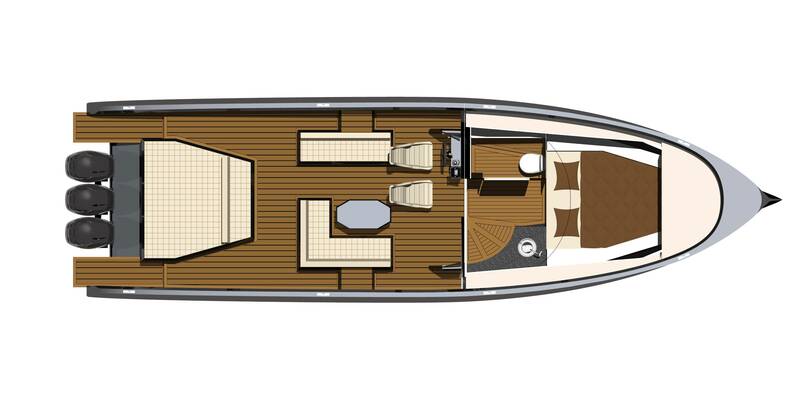 The renowned Dutch yard can adapt the entire layout of the yacht to owners’ preferences – this is just one of the many advantages afforded by the use of aluminum, a supremely flexible material which allows a high degree of freedom. Owners can also choose materials, colors and engines entirely at their own discretion.